“X Type” Model with “Bite Limiter” results in better molding and more comfort! 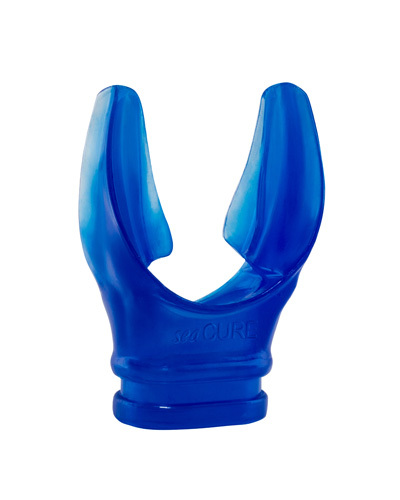 New research shows poor mouthpieces cause jaw pain and damage in 41% of previously pain free divers! Read the Journal of Oral Rehab article here. Read the new Alert Diver article on Temporomandibular Joint Dysfunction in Diving by Maureen Robbs. THE WORLD’S GREATEST MOUTHPIECE – THE RESULT OF OVER 25 YEARS in the moldable mouthpiece business! SeaCure was created by an orthodontist, is guaranteed to fit YOU – PERFECTLY and is the only moldable and remoldable mouthpiece offset for both the upper and lower jaw positions. The improved X Type SeaCure Custom Mouthpiece offers a totally new X shaped profile, which significantly reduces bulk, virtually eliminates gagging, and improves molding by earlier engagement of the teeth during closure. The X Type also includes an improved one piece molding and sealing plug. The plug is used in the molding process and also to keep debris out of the regulator when not diving. It now provides a bite limiter that eliminates the possibility of over closure during the heat molding process which can lead to reduced air flow when diving. 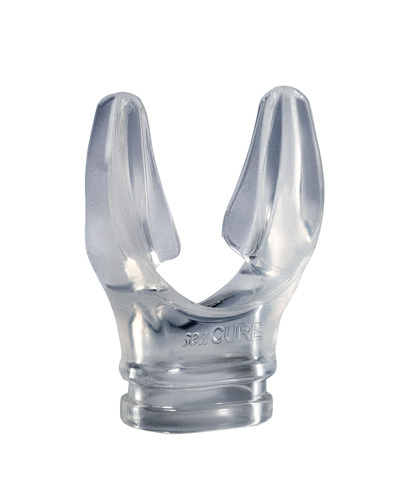 SeaCure is a unique, moldable mouthpiece designed to precisely fit the individual diver’s mouth, teeth, gums, and jaw configuration to provide maximum support of a regulator and, thus, eliminate jaw fatigue. 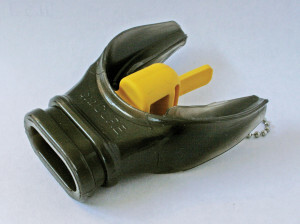 SeaCure Custom Mouthpiece, being moldable, cannot only perfectly fit every individual mouth but can actually enter the mouth all the way to the rear of the jaw employing all of the diver’s teeth. The SeaCure Custom Mouthpiece is marketed entirely through a network of over 1200 retail dive shops in the United States, and many more around the world. We know SeaCure is awesome. But, don’t take our word for it … Hear what the experts and divers alike think about the SeaCure Custom Mouthpiece.